Glycol, any of a class of organic compounds belonging to the alcohol family; in the molecule of a glycol, two hydroxyl (OH) groups are attached to different carbon atoms. The term is often applied to the simplest member of the class, ethylene glycol. 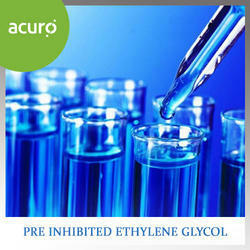 ACURO's pre inhibited ethylene glycol heat transfer fluid contains special inhibitors that help prevent corrosion. Pre inhibited ethylene glycol-based fluids are generally used because of their greater heat transfer efficiencyand superior low temperature performance. Ethylene glycol-based fluids are generally used because oftheir greater heat transfer efficiency and superior low temperature performance. Specially formulated industrial inhibitor packages that are effective in preventing corrosion of metals commonly used in hvac, food processing, and process heat transfer equipment. RADOTHERM 510 is a premixed solution of corrosion inhibited propylene glycol with deionized water. This product is commonly used as a heat transfer media or as an antifreeze. The corrosion inhibitor is designed to minimize corrosion to bronze, copper, aluminum, steel, and stainless steel materials. The product comes clear or as pink for ease of product detection. This product is not intended for food and beverage process water system applications. It is intended for water systems that require corrosion protection. It is design for antifreeze or boiler applications and will provide freeze protection and corrosion protect against iron, aluminum, and bronze metals. We are offering our client an excellent quality range of Triethylene Glycol.It is the chemical without odor and generally appears clear to colorless liquid. It can be used as aromatic extraction solvent, rubber, cellulose nitrate and diesel fuel additive solvents. Triethylene glycol is a transparent, colorless, low-volatility, moderate-viscosity, watersoluble liquid .Under normal conditions, there is no detectable odor; under high vapor concentrations, a slightly sweet odor may be detected . It is completely miscible with water and many organic liquids.Triethylene glycol has properties similar to other glycols and may be used preferentially in applications requiring a higher boiling point, higher molecular weight, or lower volatility than diethylene glycol.Triethylene glycol may be used directly as a plasticizer or modified by esterification.The solubility properties of triethylene glycol are important for many applications.End-uses for triethylene glycol are numerous. 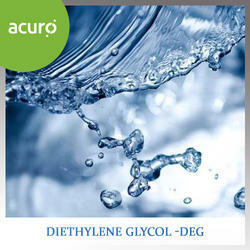 Diethylene Glycol (Dihyroxy diethyl ether) is a colorless, virtually odorless, viscous liquid. Compared to MEG, it has a higher boiling point, viscosity and specific gravity. DEG is characterized by great solvent power, extreme hygroscopicity and low vapor loss. The viscous glycol ether is an important industrial solvent. It is utilized in the manufacture of unsaturated polyesters, plasticizer and some important resins. It is a dyeing agent of gases. DEG is an effective softening agent, making glues and adhesives more flexible. It is an important component in formulations of brake fluids pastes and pigments. 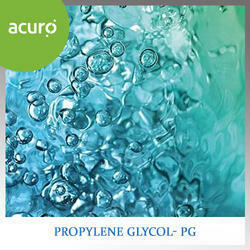 Propylene glycol is a synthetic liquid substance that absorbs water. 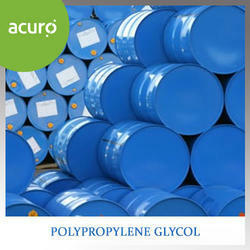 Propylene glycol is also used to make polyester compounds, and as a base for deicing solutions. Propylene glycol is used by the chemical, food, and pharmaceutical industries as an antifreeze when leakage might lead to contact with food. 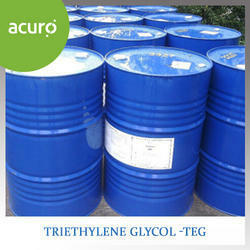 Ethylene glycol (monoethylene glycol) in its pure form, it is an odorless, colorless,syrupy liquid with a sweet taste. Monoethylene Glycol (MEG) can be used for applications that require chemical intermediates for resins, solvent couplers, freezing point depression, solvents, humectants and chemical intermediates. These applications are vital to the manufacture of a wide range of products, including resins; deicing fluids; heat transfer fluids; automotive antifreeze and coolants; water-based adhesives, latex paints and asphalt emulsions; electrolytic capacitors; textile fibers; paper and leather. Triethylene Glycol (TEG) is a larger molecule than MEG, DEG and has two ether groups. It is less clear and less hygroscopic than DEG, but has a higher boiling point, density and viscosity. The properties of TEG resemble those of DEG, but it is heavier. TEG is also distinguished by its antibacterial properties. TEG is an important non-volatile industrial solvent. It is also useful in the dehydration of gases, manufacture of insecticides and in the synthesis of some organic derivatives. Pure TEG is useful in the production of plasticizers for cellophane, glue, cork, powdered ceramics and some plastics. TEG is a component in the formulation of some pigments, printing dyes, inks and pastes. It is also used for air fumigation. 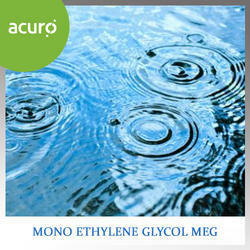 Monoethylene Glycol (MEG) is a colorless, virtually odorless and slightly viscous liquid. It is miscible with water, alcohols, aldehydes and many organic compounds. MEG will not dissolve rubber, cellulose acetate or heavy vegetable and petroleum oils. MEG has a low volatility and it is 50% more hygroscopic than glycerol at room temperature.Mono Ethylene Glycol (MEG) is the most widely used chemical from the Glycol family. It is an essential raw material for Polyester fibres and Polyethylene Terephthalate (PET) polymer. MEG based products are also used as coolants in Automobile antifreeze, resins, humectants for / paper etc. MEG can be transported in Epoxy coated MS tankers. It can be stored in MS containers lined with baked phenolic resin / air drying epoxy phenolic resin or vinyl resin. It is advisable to store MEG in a cool, dry place with good ventilation - away from heat, sparks or flames. 2. Adhesives, Sealants and Coatings:Mono Ethylene Glycol and D-Ethylene Glycol is used in latex based paint formulation. 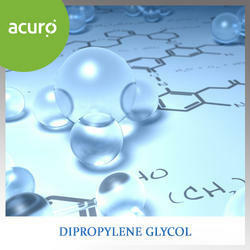 These glycols are also used to produce acrylate and methacrylate resins for coatings, adhesives, and paints. 3. Alkyd Resins for Paints and Coatings :Mono Ethylene Glycol is used as a reactant in the manufacture of Alkyd resins which are used in Paints, enamels and varnishes. 4. Antifreeze:Ethylene Glycol (MEG) is used as an active ingredient in engine coolants and antifreeze, offering benefits including a high boiling point, low vapor pressure, excellent heat transfer abilities, and the ability to depress the freezing point of water. MEG finds applications in products like Dyes & Inks for High speed printing. Glycols being hygroscopic in nature are also used as Humectants for , paper etc.